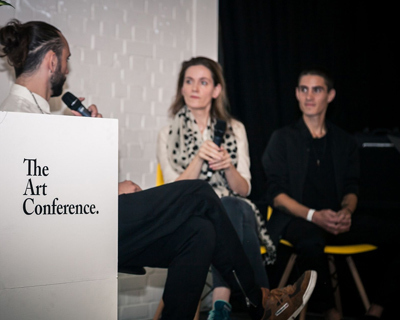 The Conversion Group (TCG) has today announced its expansion into the arts domain through a joint venture with London based curator Tina Ziegler to found The Art Conference (TAC). Bringing together leaders in technology, art and culture, TAC will act as a meeting point for the creative community encouraging dialogue, critical reflection and inspiring immediate action through its London based conferences. The launch of The Art Conference will take place on 23rd – 24th July 2016 at the Ugly Duck, 47/49 Tanner Street near London Bridge, starting as a two-day conference event presenting 15+ international keynote speakers, film screenings, panel discussions, exhibitions and digital art installations.